Church In Bethesda (CiB) is a multi-denominational, multicultural, open and inclusive community of people seeking to know God and one another better. You are welcome to be who you are here, love who you love here, and explore your beliefs and values at your own pace here. From the moment you walk through our blue doors, you’ll see how we love God, each other, and our community. We’re building a choir! No prior experience or expertise is required. If you can carry a tune, you’re in! Email Douglas & Ana to set up a time to meet. We look forward to hearing your voice on Sundays! All are welcome to join us on Sunday, May 26 (Memorial Day Weekend) at 12:30 PM for live music, hot dogs, corn dogs, salads, drinks, other dishes, and most importantly, friendly faces. Gathering in smaller groups is vital to life of our community because we believe that God is best realized in the context of relationships. All are welcome to be a part of our groups whether you go to our church, another church, or no church at all. 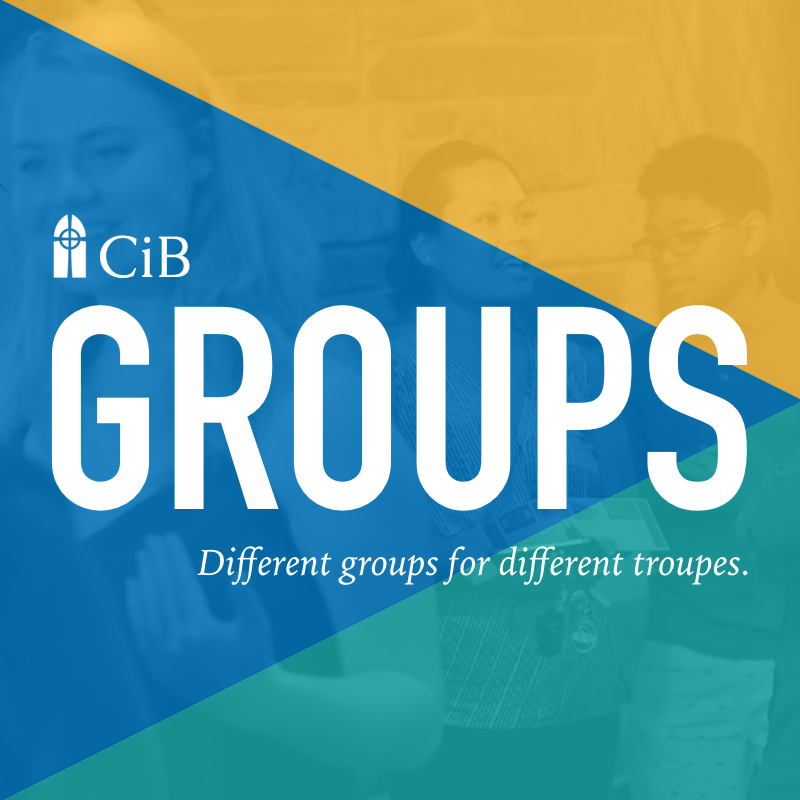 See a listing of the groups that we offer below and click on the links to get more information. At CiB, our journey extends beyond Sundays. Our site is filled with different mediums for learning that are tailored to busy lives. During the week, you can stream or download the sermons from Sundays, study and pray along with us with our morning and evening meditations, or read thoughts about different topics on our blog.